We are thrilled to announce that we have been working on a dual GB/GBC full-color remaster of Tobu Tobu Girl, scheduled to release this summer. Like the original, this Deluxe version will also be open source and completely free to download upon release. 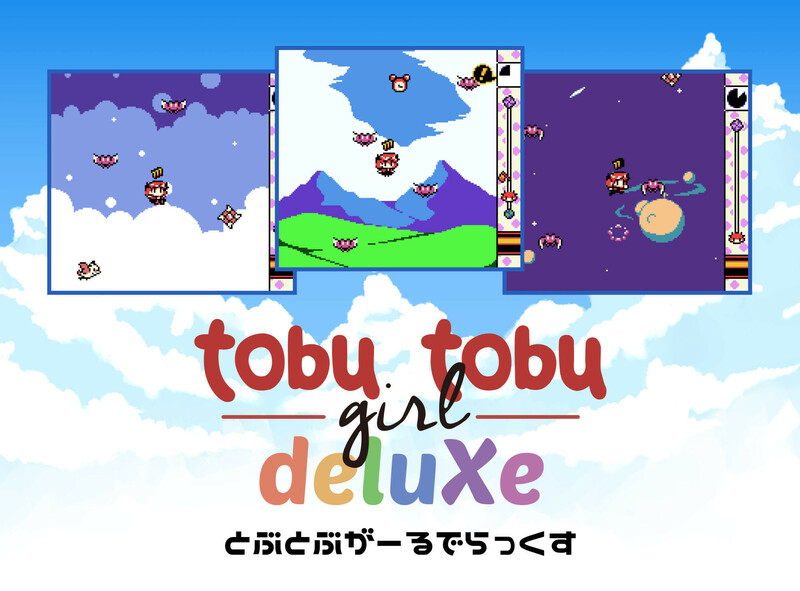 The original physical run of Tobu Tobu Girl went out of stock much faster than we could’ve ever imagined, leaving a lot of people without the chance to get a hold of a copy. It wouldn’t feel right to release this version without an accompanying physical run. 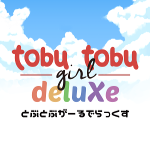 To realize this we have teamed up with publisher First Press Games to give Tobu Tobu Girl Deluxe a high-quality physical release. 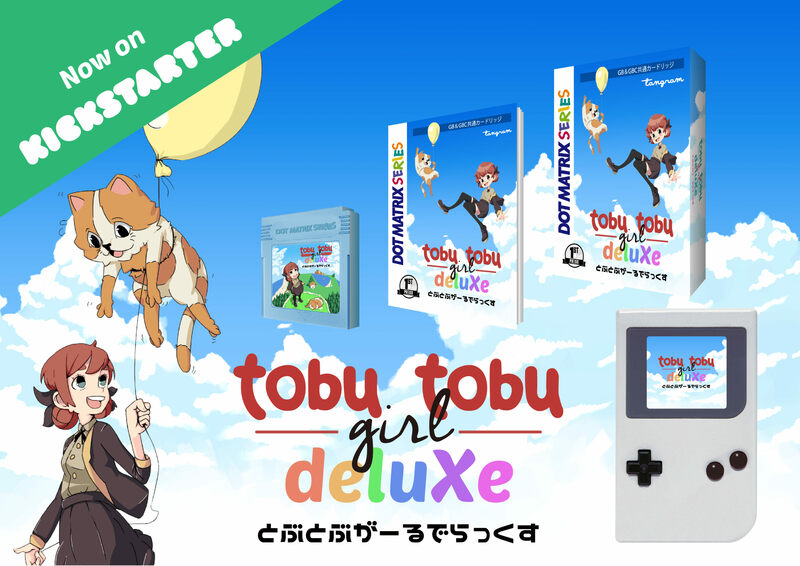 We have just launched a Kickstarter campaign where it is possible to pre-order a physical copy of Tobu Tobu Girl Deluxe. After many problems and delays it is finally here! 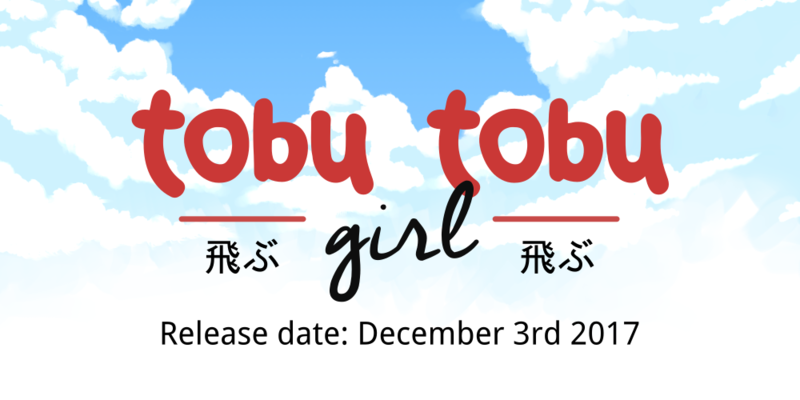 We are happy to announce that Tobu Tobu Girl will finally release on December 3rd this year. The game will be available as a free downloadable Game Boy ROM as well as a limited physical edition complete with cartridge and manual in box. The first batch of 75 copies will be available upon release at 35€, with a second batch to follow soon after. 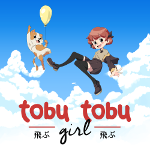 Check out the Tobu Tobu Girl website for more information! Hello everyone! We just put up a teaser trailer for Tobu Tobu Girl! The game is basically done save some finishing touches. Check it out and don’t forget to show your friends! This post contains spoilers for Trick Parade. If you haven’t played it yet we recommend you do so first. 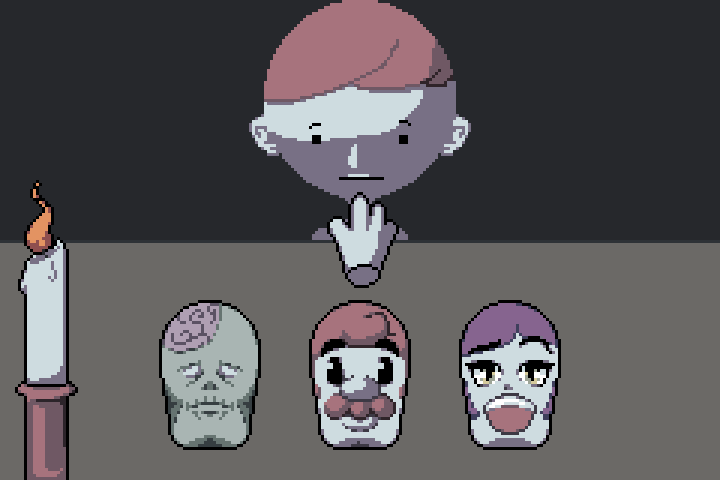 Last weekend was the 33rd installment of the Ludum Dare game jam and despite not initially planning to participate, we somehow ended up dedicating yet another weekend to the art of game jamming. 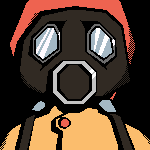 Once again we had the pleasure of having Hernan on the team, who also helped with artwork for our Ludum Dare 32 entry N.O.D.E.. The theme this time around was You are the Monster. We wanted to steer around the obvious idea of taking a classic design and reversing the roles and instead went with the concept You pretend to be the monster, so we decided to make a Halloween-themed RPG in which you are a kid trying to scare the other kids on the block. Instead of a traditional turn-based combat system we decided to have the player attack by completing a series of 5 second minigames to determine their damage output. In Trick Parade, as the game was named during the final hours of development, there are three basic elements of fear: paranormal, critters and splatter. Kids dressed up as one type can effectively scare one type, but are also easily scared by another. 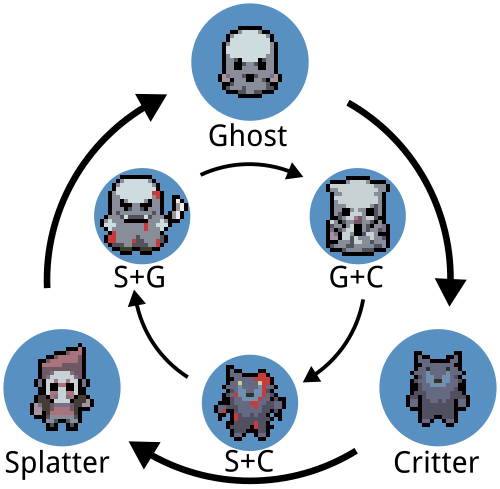 Besides adding some flavor to the game’s world, this system serves the purpose of controlling the player’s progression through the world. Given only a basic ghost costume the player has to acquire more sophisticated costumes in order to beat and get past harder enemies. To give the system a bit more depth we decided to add combinations of types. This allowed for some nice variety in costumes, but proved difficult for players to understand and remember. Unlike rock-paper-scissors players can’t logically deduce which types beat which and the addition of combinations only makes it even more complicated. If dogs are scared of ghosts, then why are zombie dogs effective against zombie ghosts? The battles get repetitive pretty fast due to the low selection of minigames. 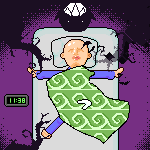 In the current version only 9 minigames are implemented due to lack of time. We initially planned to have a much larger selection of games, each belonging to one of the three elements of fear, and the player’s choice of attack type would then influence which games they would be presented with. 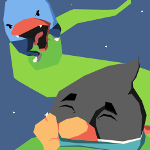 A large number of ideas and assets already exist and will be implemented if we decide to produce a post-jam version. The low variety of minigames also resulted in a different problem: difficulty. Similar to the Wario Ware series, the games are all extremely simple. This gives the player a fair chance of succeeding even when presented with them for the first time, but makes for a very uninteresting game once the player has completed them all multiple times. Having a much larger selection of minigames and as well as some games that require a bit more skill would certainly make the battles more interesting. 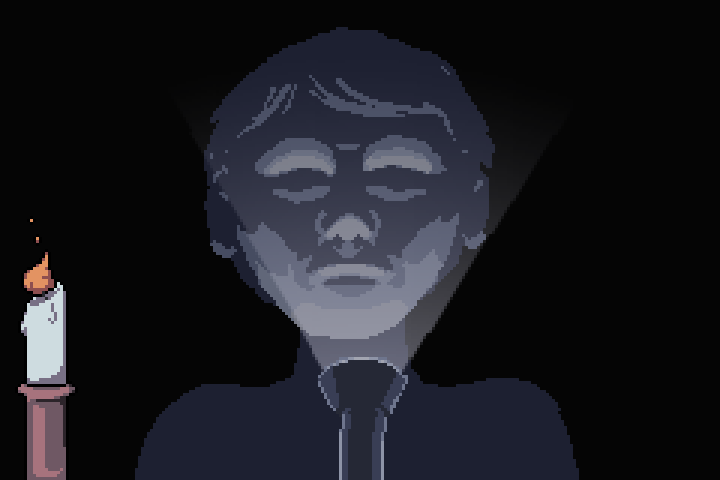 Despite all its flaws the game has been pretty well-received and we are considering making a more fleshed out post-jam version. If so the main focus will be on making the battle system more intuitive and interesting as well as adding a large number of new minigames. 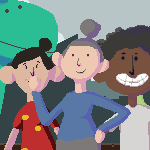 We recently finished up the remaining core elements of Tobu Tobu Girl and only sound and some technical stuff is missing before the game is complete. We ended up making some more changes to the core design and have finally reached a design we are happy with. Most notably we made it possible to jump on enemies multiple times, mostly to make the game a lot more approachable for new players. 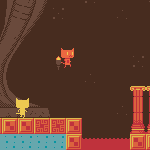 However being able to carefully plan each jump makes the game way too easy and boring so a time limit has been added to push the player forward as well as some more difficult enemies. Dashing down into enemies will now kill them and reward you with blips for powerups. The new design still has a rather high skill floor but this is probably as low as it gets if we want to keep the high skill ceiling. Overall the game is really shaping up nicely. 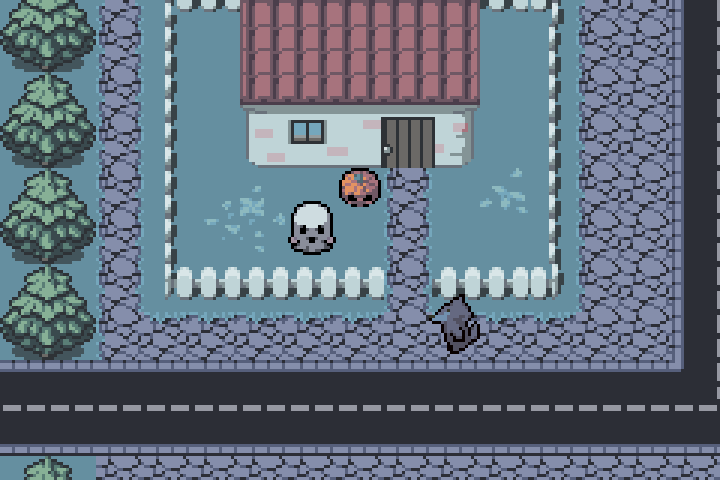 Once sound has been added as well the game will really feel like a proper Game Boy game.